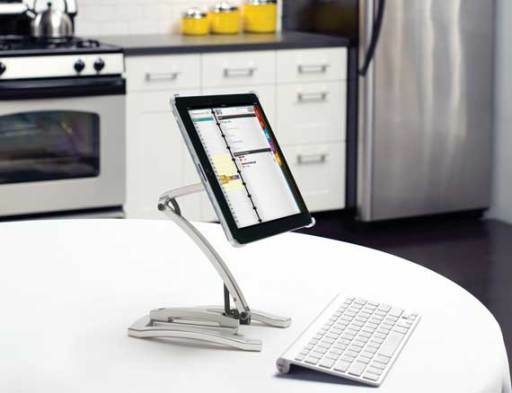 If you have an iPad then you have got to get the perfect accessory: the SANUS iPad Mount! It will definitely help you elevate your experience with your iPad! The SANUS VTM1 iPad mount keeps your iPad safe, clean and protected at home and on-the-go. It comes with hardware that gives you the choice to attach your iPad under a cabinet or to a wall. 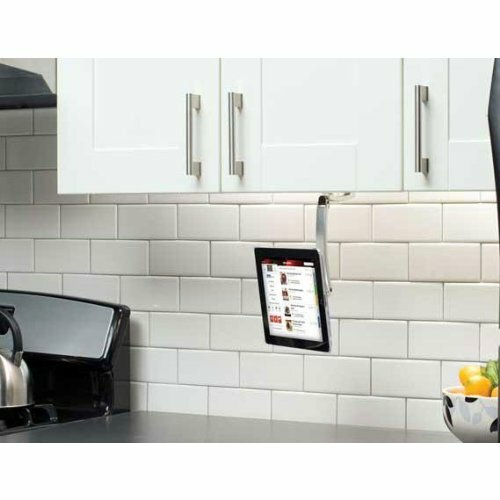 Mount it to a kitchen wall or under a kitchen cabinet to easily follow recipes and protect your iPad from damaging components, such as grease. You can also opt to use this mount to sit your iPad upright on a surface, like a desk or kitchen table, to easily pay bills or watch your favorite video at a comfortable viewing position. With the VTM1, you can easily view your iPad at eye level in both portrait and landscape modes. Designed to work with the Apple® Smart Cover®, this mount is compatible with Generation 2, 3 and 4 iPads. The SANUS VTM1 iPad® 4-in-1 Mount also offers a simpler way to type and swipe. 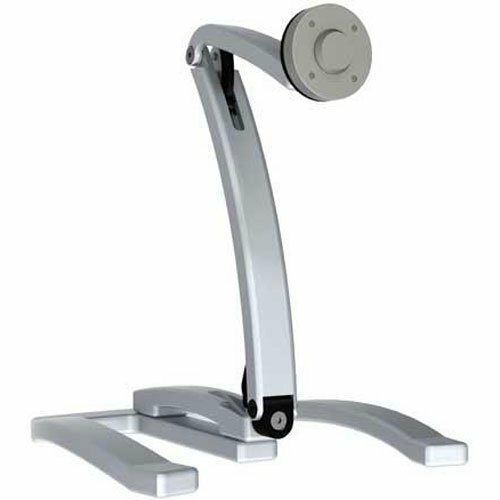 Including a MagFit™ iPad case, an articulated arm and detachable desk stand, users can mount an iPad on the wall, table, and refrigerator or even under cabinets for limitless hands free capabilities. This mount is versatile enough to use it in the kitchen, living room, or anywhere else. 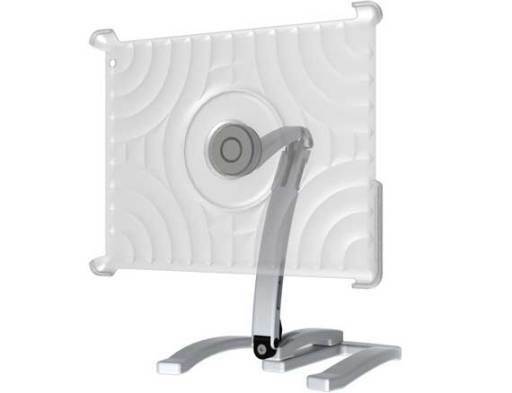 It is made of durable, lightweight polycarbonate material with a contoured back for easy handling. On the back is a powerful magnet which secures the case to the 360- pivoting arm, or other metallic surfaces. That way its easy to use your tablet hands-free just about anywhere! You can purchase the SANUS 4-in-1 mount at SANUS.com, Best Buy, Costco, Target and Walmart stores, as well as local audio and video retailers nationwide.